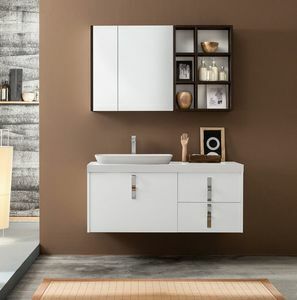 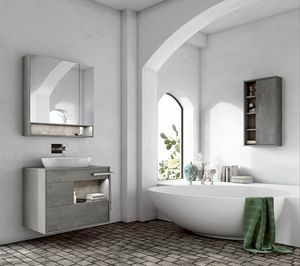 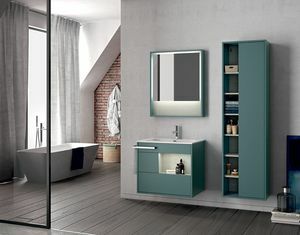 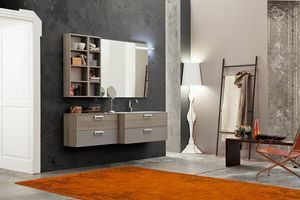 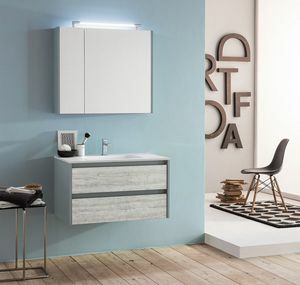 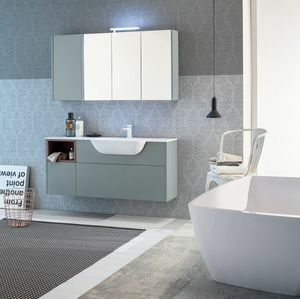 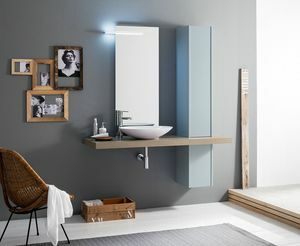 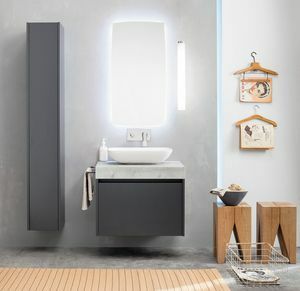 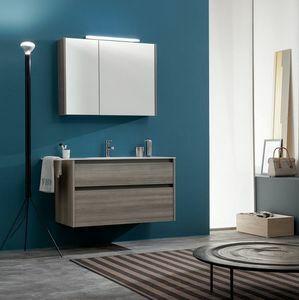 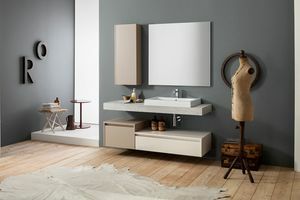 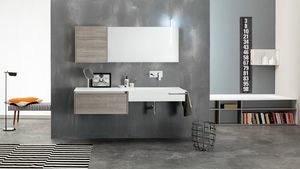 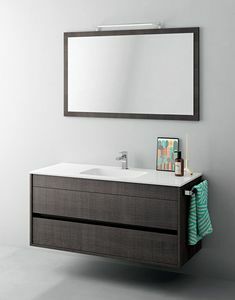 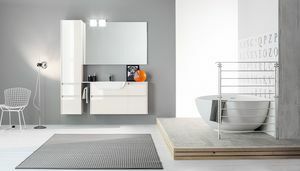 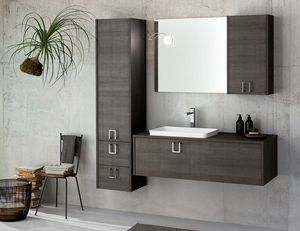 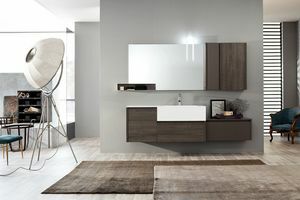 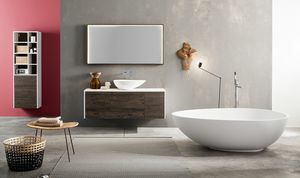 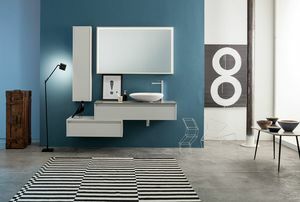 Set with Vani semi-recessed basin in Mak Lux. 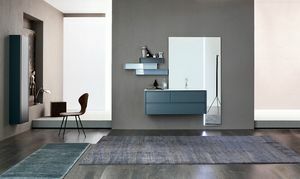 Sides and fronts in Denim Mat. 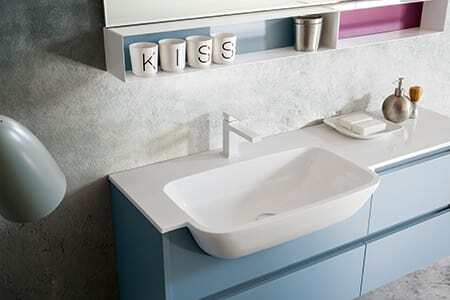 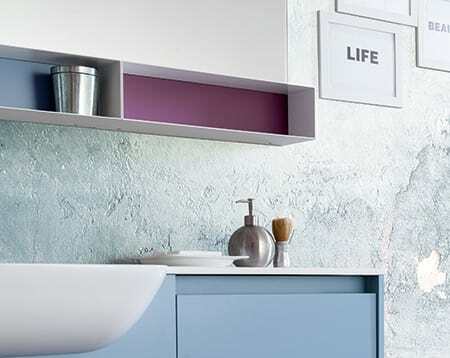 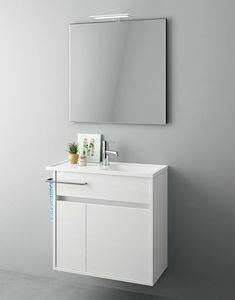 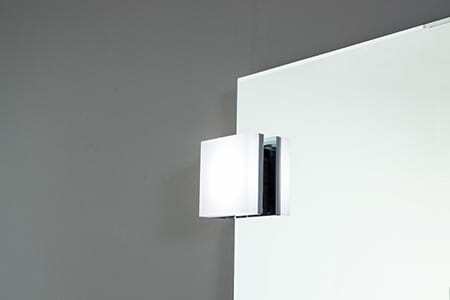 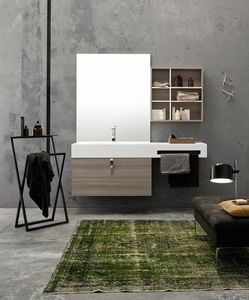 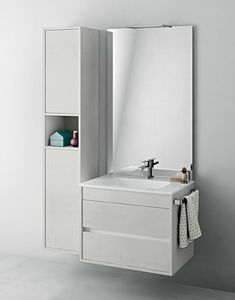 Vani semi-recessed basin in Mak Lux. 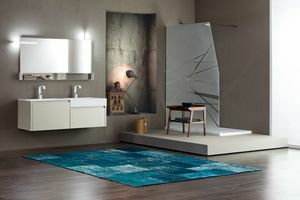 Met in Denim Mat and Orchidea Mat. 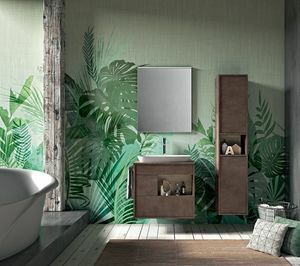 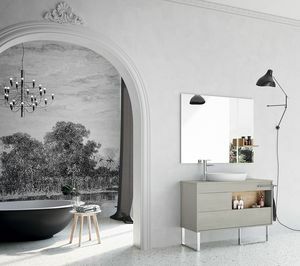 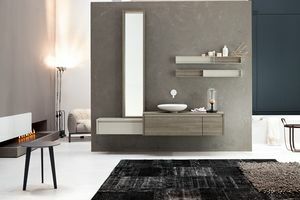 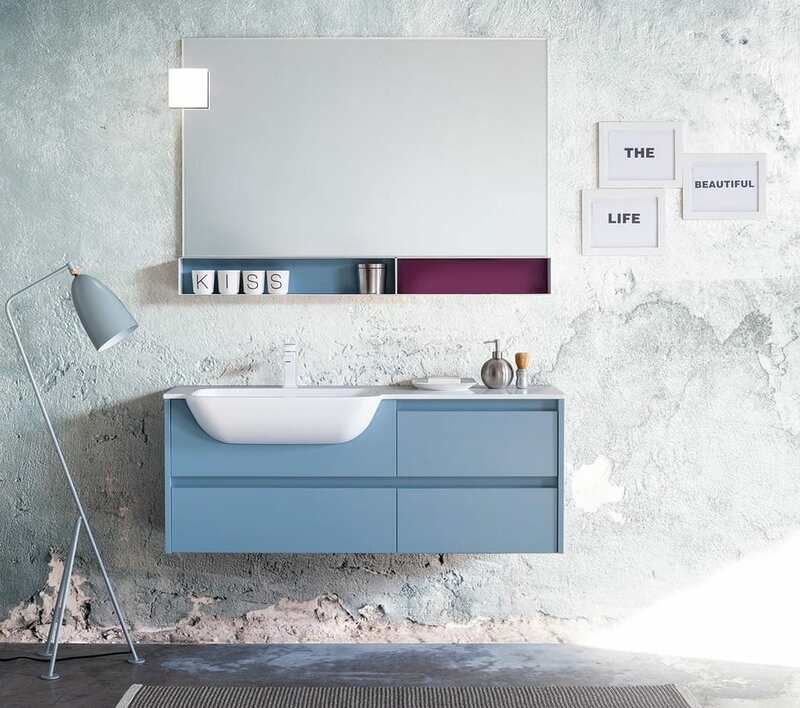 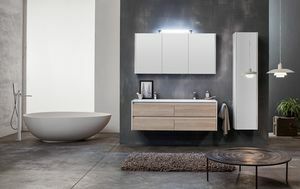 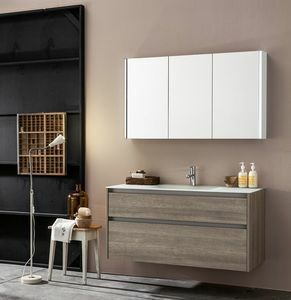 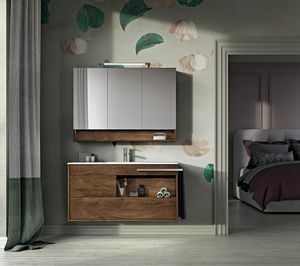 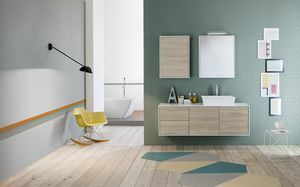 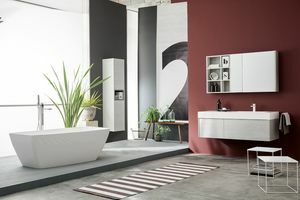 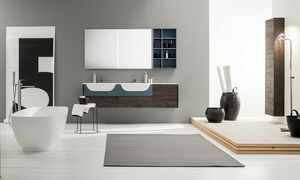 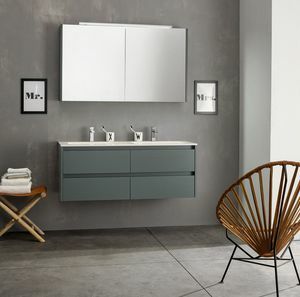 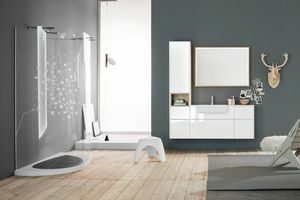 With the KAMI collection, Mastella has created a fully modular furnishing system; KAMI allows you to also create original designs, combining dierent nishes and materials on the frames and front panels of the same composition.